Anyone who remembers names like Cocky’s Shed and Culture Vulture in Hockley, Nottingham, was probably (like me) around there in the mid eighties when different forms of street fashion were establishing. 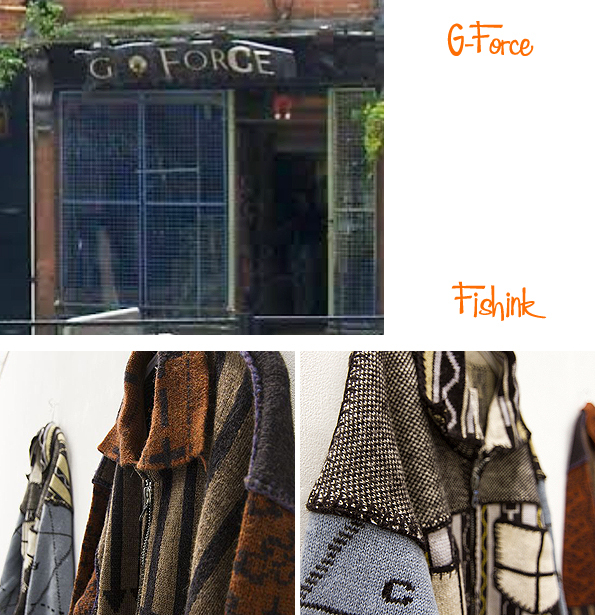 I was chatting recently to a friend from my Trent Poly days about living in Nottingham and the name ‘G-Force’ came up, as we remembered the boutique clothing shop with it’s strong, bold knitwear. 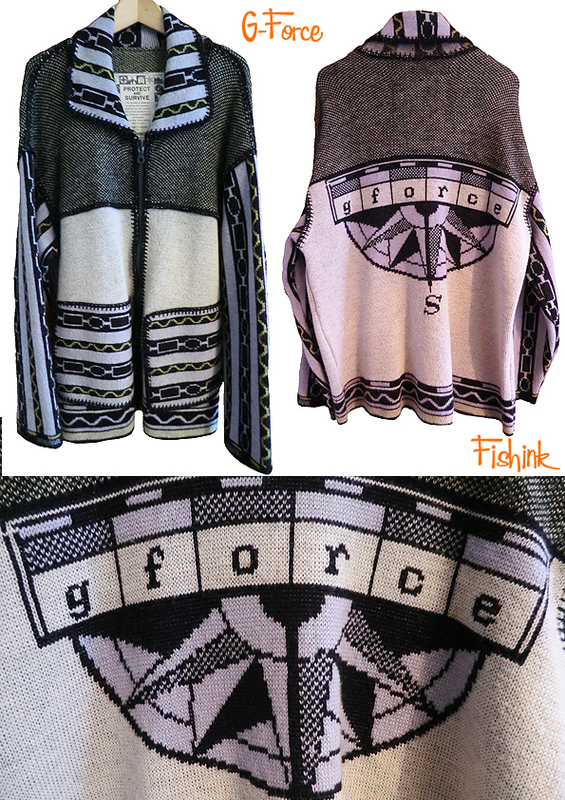 Funnily enough we had both bought our own G-Force knits, to wear and be ‘in with the in-crowd’ of the time. Although to be honest I didn’t always have the guts to wear it as often as I would have liked. This was my jumper. 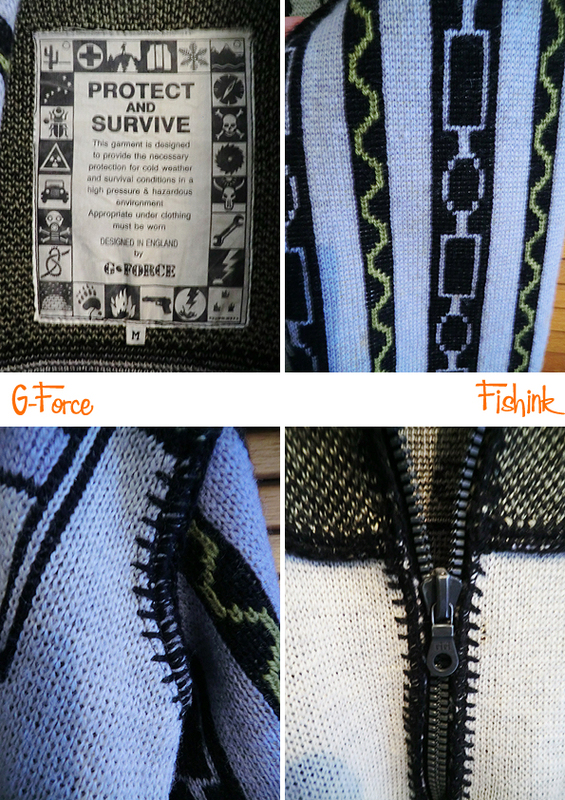 Their label and logo with great details, heavy zip and characteristic stitching on the seams. 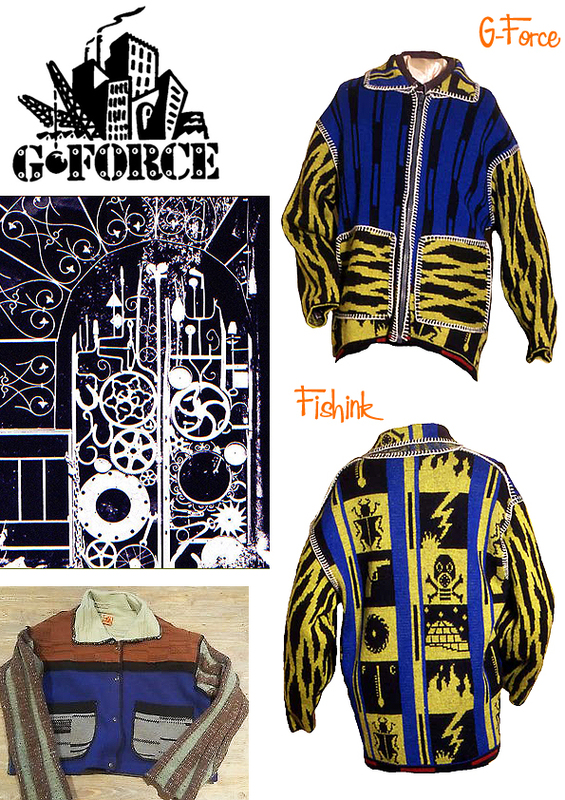 G-force was often worn by bands like the Stereo MC’s, the performance artists Stomp, celebrities like Cher and Eric Cantona. I started googling the name to see what was available and the name of it’s founder Robin Kerr appeared. As luck would have it, Robin not only had an accessible email address but is now a Senior Lecturer in Fashion at non other than the Manchester School of Art ..small world again eh !! I got in touch with him to ask a little more about this iconic brand… he replied to say he would answer any questions I might have but when I sent them over, sadly I didn’t hear back. Another small piece of 80’s and 90’s culture. Who else remembers these ? I enjoy your blog very much. I’m not usually familiar with the artists you show here, so am glad to have a chance to see these beautiful graphics and textiles. Thanks so much for taking the time to post them. Ha ha remember G-force.. There was a little stall in ken high street market. Great trousers too. Good raving gear.